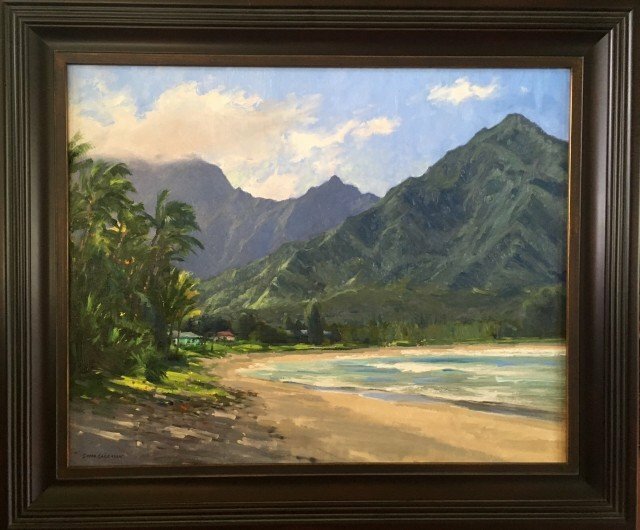 Kauai, Hawaii is such a magical place that often times visitors want to take home a beautiful painting as a reminder of their time in Paradise. 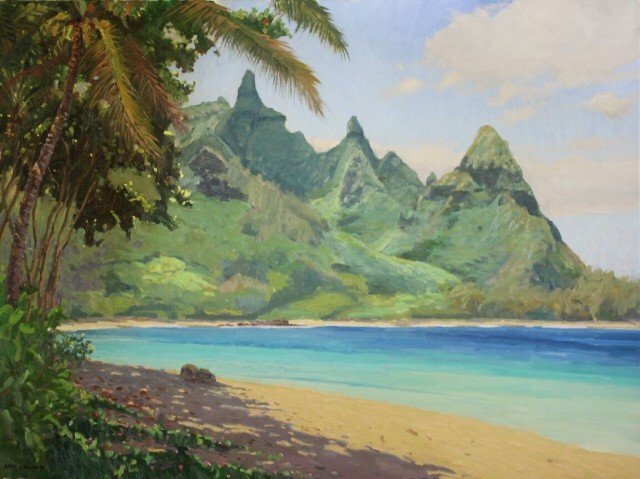 Saim Caglayan has been plein air painting the landscapes of Kauai for years. I have personally known Saim for 15 of those years and am proud to call him my friend. Saim was born in Istanbul, Turkey and came to the United States in 1968 to study architecture. After three years his interest changed and he went on to complete his BA degree in sculpture from California State University, Long Beach. 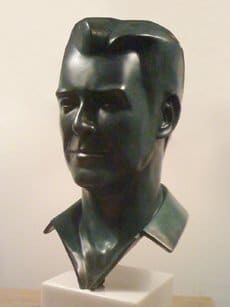 He then took further graduate courses in art from California State University, Fullerton and the Art Institute of Southern California. For over twenty years he taught sculpture at Crafton Hills College and Golden West College. 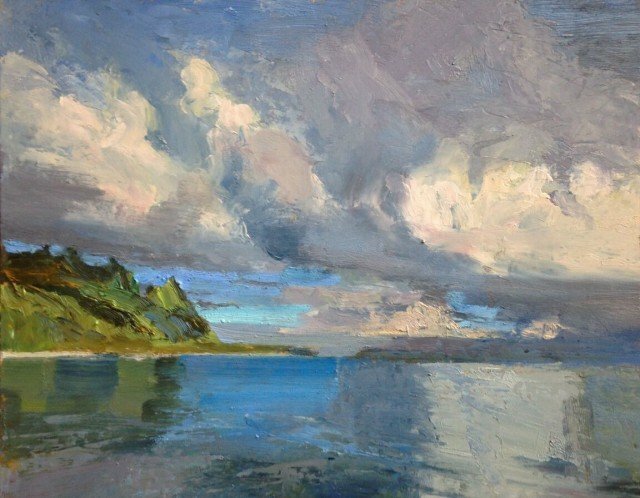 After that he started teaching plein air painting in both California and Kauai. 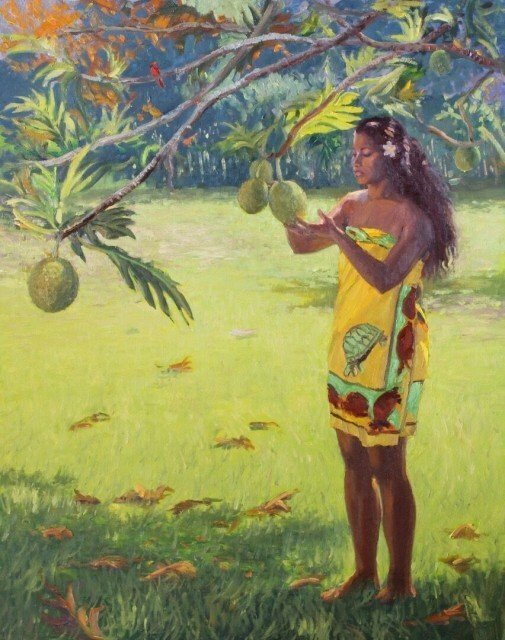 Saim Caglayan has an art gallery in Laguna Beach, California, as well as one in Kilauea, Kauai, Hawaii. 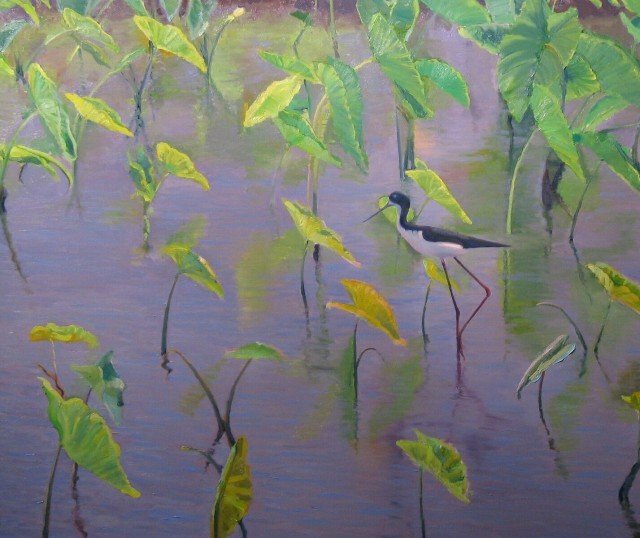 When not traveling the world giving workshops and painting, he holds private classes at his studio on Kauai. He also enjoys painting portraits on canvas in oils. 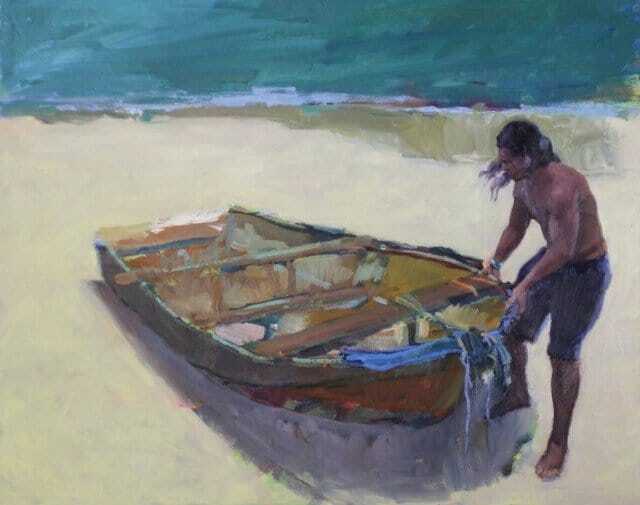 Email Saim for workshop dates, to have your portrait painted while visiting our island, or to simply visit with him in his studio or gallery. He has lots of stories to tell and will make you feel quite welcome. “I have been living on this amazing island of Kauai for 18 years now. There has never been a day I haven’t been surprised by the ever-changing beauty and the abundance at all levels. Painting is a way to deeply appreciate what is before me under all circumstances. 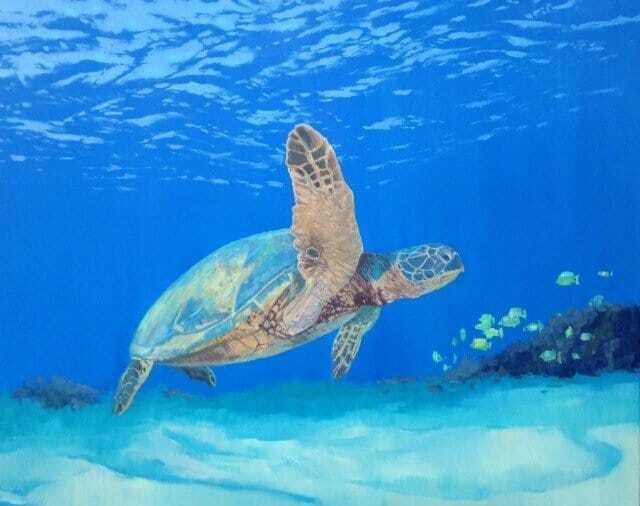 The honu painting is one of my personal favorites, of course, but I will include a few more at the end of the blog from Saim’s extensive body of work. 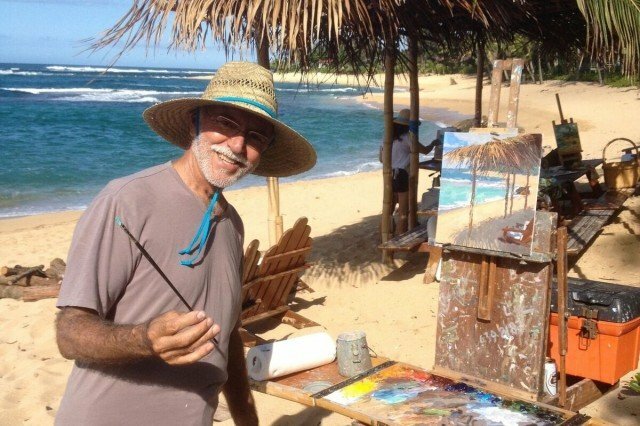 If you see him painting on the beach while you are on island, be sure to stop and say Aloha. For more blog topics or to subscribe to this guide, go to the right-hand side of this page where you will find a category list of posts and a form to subscribe. Enjoy your time on the Garden Island.